Antonietta Airoldi was born in Pezzolo - Lugano (Switzerland) in 1951. 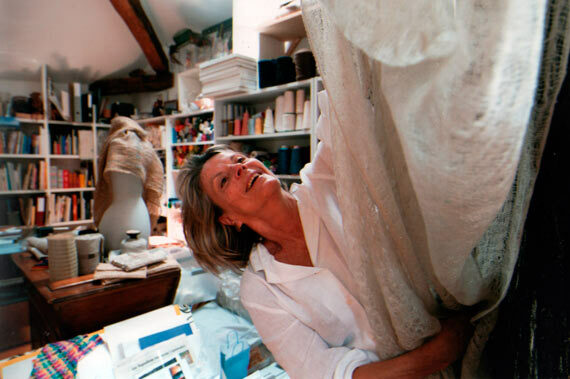 She got her weaving diploma at the CSIA in Lugano in 1984, when she also opened her atelier in Pezzolo. She has been exhibiting regulary in Switzerland and Europe since 1982. She was teaching (1999 - 2016) textile techniques at CSIA in Lugano. As a fiber artist, Antonietta Airoldi has long undertaken a creative research leading her to experiment with art wear. Together with Anna Vannotti, a ceramist, she manages the AAA atelier, opened in 1989 and concentrating on research and exhibitions in the applied arts field. The artist lives and works in Pezzolo.